Jean was born to Willis B. Kilpatrick and Wilda Law Kilpatrick in Oneonta, New York on August 1, 1923. 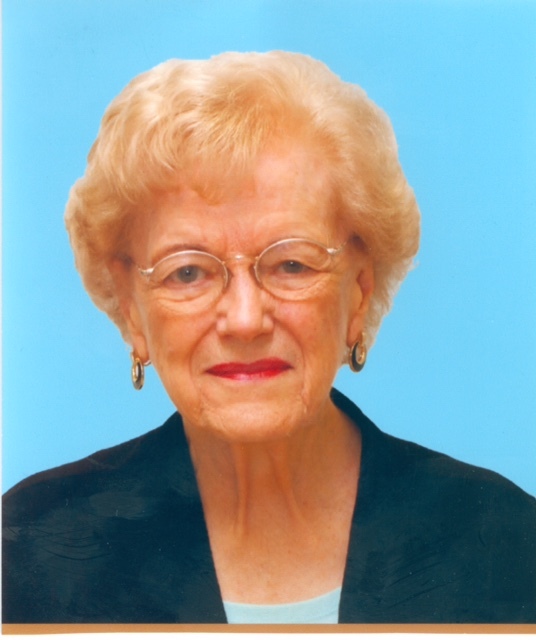 Willis was a Presbyterian minister and Wilda an at home mom and elementary school Math teacher. The family moved to Greenfield, Ohio in the mid-1920s, where Willis became the pastor of the First Presbyterian Church of Greenfield. Younger sisters, Josephine, Agnes and Catherine were born in Greenfield, and they had wonderful times between family, church, school, and good, clean small town living. Jean and her sisters attended the public schools in town. Jean graduated from McLain High School in 1941, with honors. That fall Jean became a freshman at Beaver College, a small, Presbyterian liberal arts college in Glenside, Pennsylvania, just outside of Philadelphia. She received her BA in Music, graduating Valedictorian of her class in 1945. While at Beaver she worked in the cafeteria and later played piano at Grace Presbyterian Church in nearby Jenkintown, PA. At Grace Jean met her future husband Ralph Pallen Coleman, Jr, who grew up in the Jenkintown/Abington area, attending Abington High School. Their first date was Ralph taking Jean back to his home at 568 Baeder Road, for a party with his parents, Ralph Pallen Coleman, Sr. and Florence Haeberle. Ralph was thrilled to introduce Jean to his family and show her the many brilliant illustrations his father had painted. Also, day one at Beaver, Jean met her friend for life, Lenny Scheid, who later married Joe Smith. After graduating in May 1945, and the end of World War II in Europe, Jean attended Union Theological Seminary in New York City, where she received her Masters in Sacred Music. Following that she moved to Danville, Illinois, where she became Minister of Music and Choir for the First Presbyterian Church. Jean and Ralph continued dating during this period. They took a road trip with Ralph’s parents across the United States in 1947, to the National Parks out West, to California and back. They were soon engaged, and on September 10, 1949 Jean and Ralph were married at First Presbyterian Church in Greenfield, with Jean’s father presiding, and her sister Josephine’s husband, Ralph Marshall, participating. The couple honeymooned in Cincinnati and Charleston, South Carolina. During the first few years of their marriage they lived with Ralph’s family in Abington, then moved to Lynnewood Gardens in nearby Cheltenham, during which time Ralph Pallen Coleman III was born on February 10, 1953. Several years later the young family moved to 126 Garden Road, Oreland, PA, and Richard was born on September 14, 1956. The same year Jean became the Minister of Music and Choir at nearby First Church of the Brethren, where she served for 31 years, along with Dean Crouse, the Minister. In 1961 the family moved to 1916 Hilltop Road, Abington. The 1960s and 1970s were wonderful family years, with the boys going through the Abington school system, Ralph graduating in 1971 and Rich 1974, while Jean was an at home mom and continued her work at the church, and Ralph, Jr. built his financial businesses. Ralph went to college at New York University and Rich at Lehigh University, yet the family stayed close with many visits to both colleges and return home visits for holidays and more. The 1980s bought change with Ralph, Jr. passing on in 1980, yet Jean stayed on Hilltop Road with supportive neighbors, friends, family and church. Ralph continued his career in filmmaking and Rich went to Washington to work in national security. The Kilpatrick family began a still running tradition of family reunions, hosted by each family, every three years, with the kickoff one being in Wheeling, West Virginia, in 1981. This was always a wonderful opportunity for Jean to spend time with her extended family. Jean also continued to host many parties and birthday parties over the years, which are fondly remembered by all, and was a wonderful hostess. Jean had some wonderful travels overseas in the 1980s and 1990s, with Agnes and her husband, Clarence “Pooch” Anderson, and Catherine and her husband, John Cremers. The next generation came along with the birth of Ralph’s children, Nicholas in 1999 and William in 2001. Gintare and Rich were married in 2004 in Lithuania, then Ingrid was born in 2006 and Greta in 2009. These were joyous times, when Jean could relish the role of Nana at her new residence at Spring House Estates, Lower Gwynned, PA with many trips to visit her in there, and she visiting the young families in Los Angeles and McLean, VA. Jean led a full life at Spring House, with many new and familiar friends, and as Director of their Musical Program for several years. The family was with Jean as her life came to an end, on September 10, 2016, on the occasion of the 67th anniversary of her wedding to Ralph. As Ingrid said, “Nana was with us for part of the day, then with Granpa and all the others for the rest of the day, and eternity”. In lieu of flowers contributions in Jean’s name may be made to the Alzheimer’s Association Del. Valley Chapter, 399 Market St., Suite 102, Philadelphia, PA 19106.